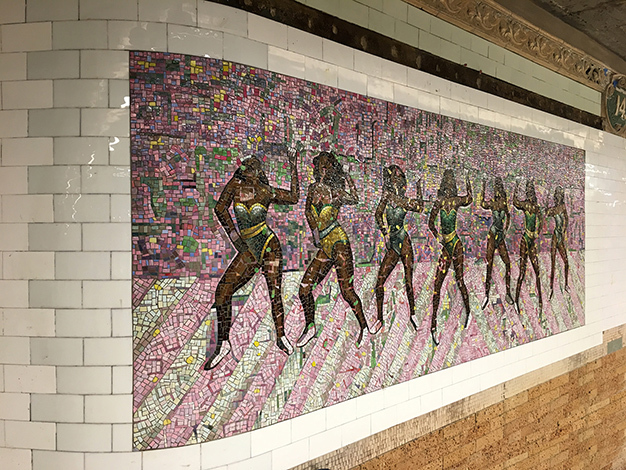 Glass and ceramic mosaic artwork by Derek Fordjour appears throughout the historic 145th St-Lenox Av station, and celebrates the African-American parade tradition in Harlem and its pageantry. 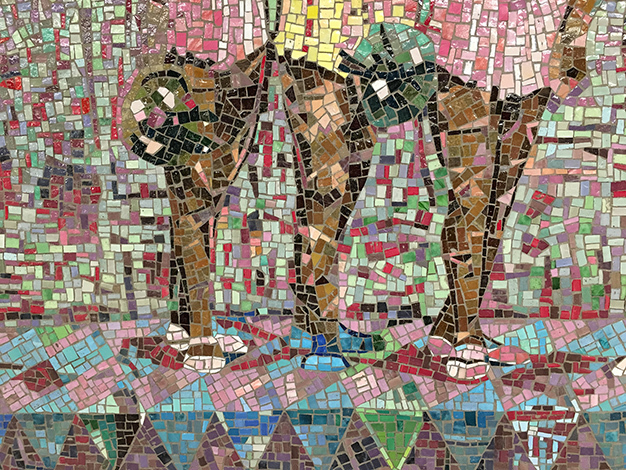 Miotto Mosaic Art Studios translated Fordjour’s layered surfaces into glass and ceramic mosaic, capturing the collage process inherent in his work. 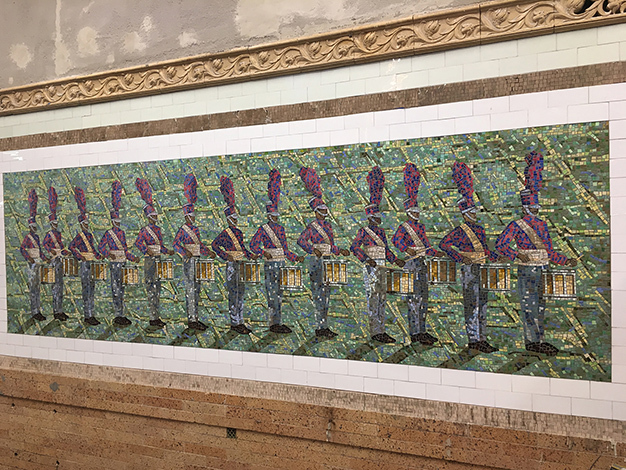 Based on his richly textured paintings created with humble materials such as newspaper, oil pastels, and charcoal, lines of drum majors, majorettes, dancers, and drummers joyfully parade along the platforms, and are accompanied by crowds of people and flags. 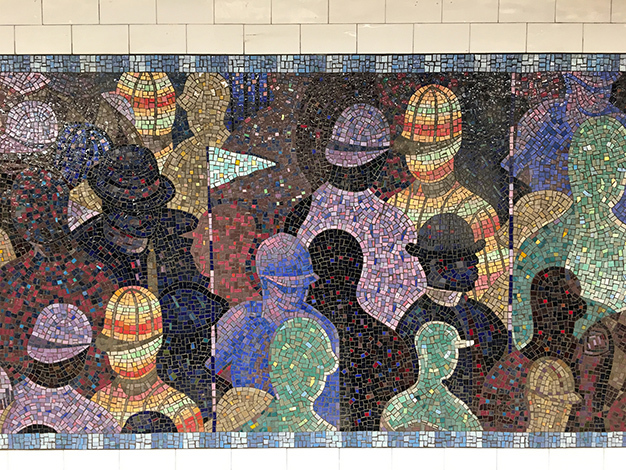 From his historic research into the neighborhood, the artist touches on the legacy of parades through Harlem starting with the Harlem Hellfighters 369th Regiment in 1919 after WWI, through to the African American Day Parade founded during the Civil Rights movement of the 1960s and continuing today. 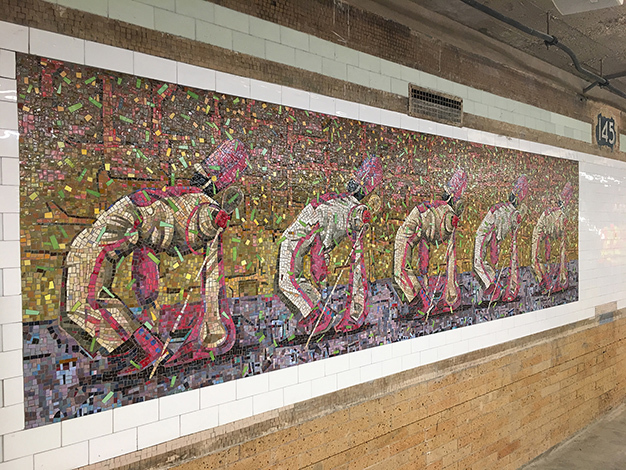 Fordjour’s artwork provides riders with a chance to encounter a celebration of community, history, and identity in the colorful art that complements the station’s improvements and reinforces the historic fabric of the station. 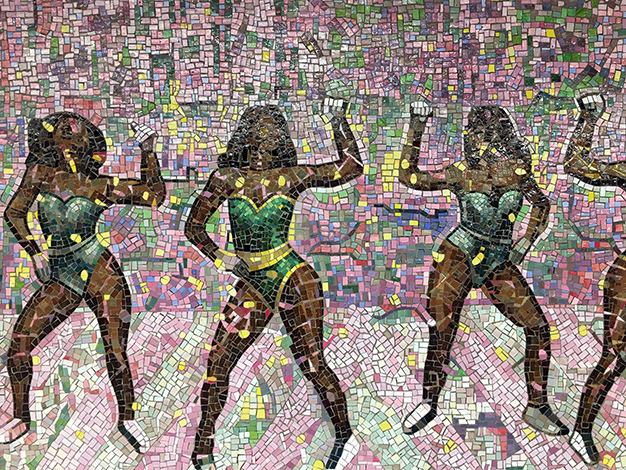 Derek Fordjour is a Harlem-based artist of African-American heritage. 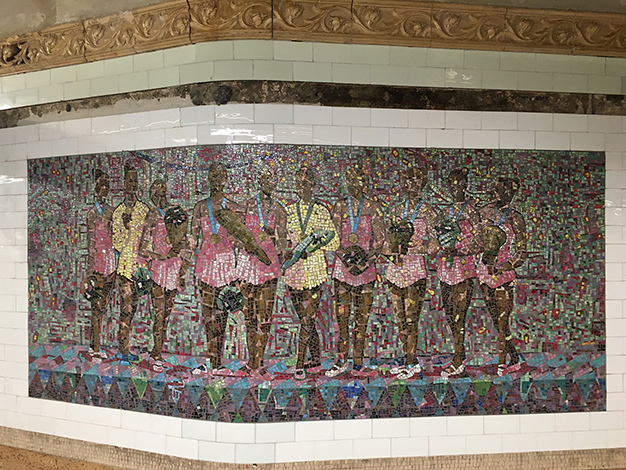 In his richly textured paintings, the artist draws upon a variety of sources including sporting imagery, board games, and carnival motifs to explore ideas of vulnerability, aspiration, and structures of fairness. 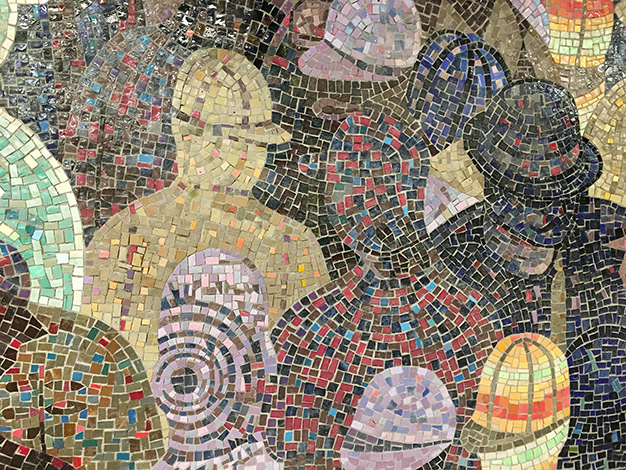 He has recently held residencies at the Sugar Hill Museum and the Sharpe-Walentas Studio Program, and was awarded the 2018 Deutsche Bank NYFA Fellowship Award. He is a graduate of Morehouse College, earned graduate degrees in Art Education from Harvard University, and painting from Hunter College.